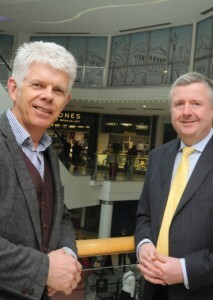 St. George’s Shopping Centre, Preston is celebrating it’s 50th birthday and commissioned an illustration featuring well known landmarks of Preston including the Harris Museum and Art Gallery, the Town Hall and the famous Sir Tom Finney splash statue. 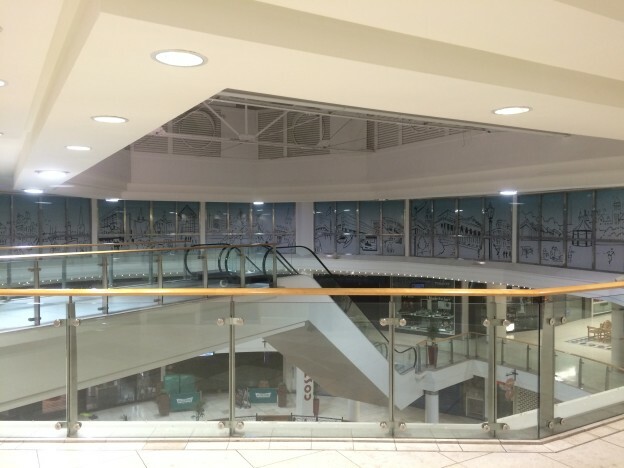 The original illustration was drawn by yours truly and it has now been installed in the heart of the centre on the top floor of the shopping centre’s rotunda. 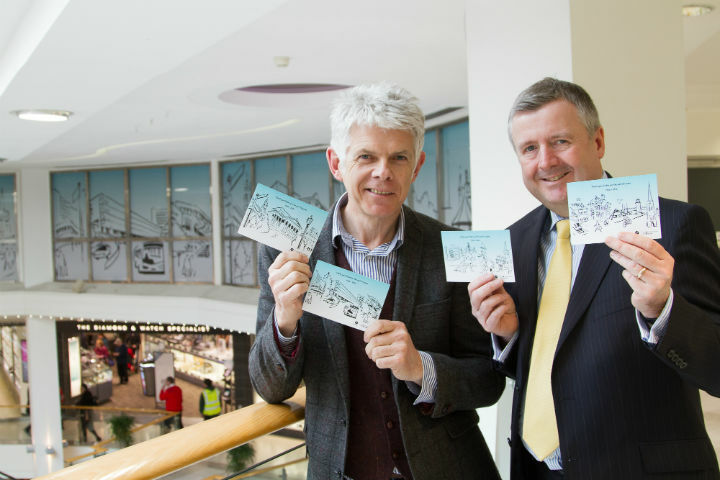 And to mark the unveiling limited edition postcards featuring the drawings will be available to shoppers at the centre’s management office. This entry was posted in illustration, Uncategorized and tagged Preston, St George's Centre on May 5, 2016 by Christopher Murphy Studio.